Reminiscent of European style and sophistication, this intimate compound is an oasis for entertaining and elegant yet comfortable living. 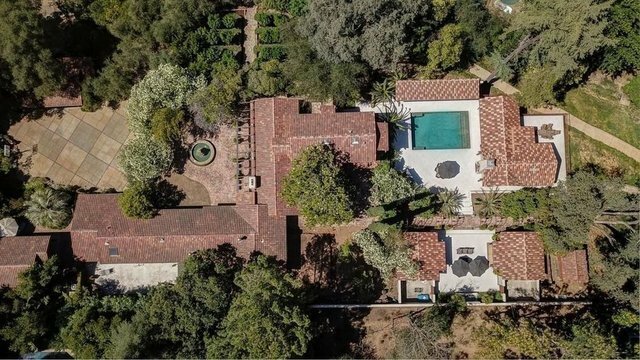 Hidden on a cul-de-sac at the end of a gated driveway, the home has evolved from a traditional hacienda to magnificence with three en-suite bedrooms, twp casitas, a fully equipped pool house, pool and resort - like grounds. The open kitchen with fireplace serves as the heart of the home while sleek formal living and dining rooms and wine room further enhance its uniqueness.